Café del Rey is one of those places where the term “stunning view” is not a cliché. This full-service restaurant sits marina-side and keeps overhead lighting to a minimum to highlight the spectacular sunsets. “It’s about the views as much as the food,” Manuel Rios, manager, Café del Rey, said to Boating Times in an interview. 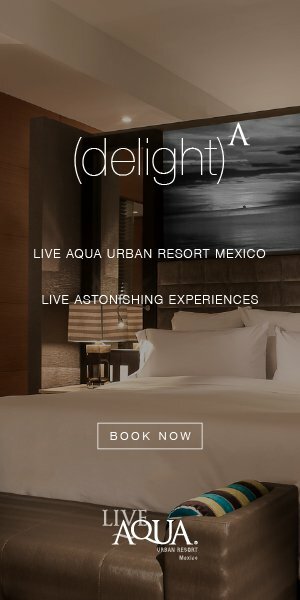 The leisurely service adds to the feeling of serenity — plan to spend the entire evening soaking in the views and savoring freshly made dishes. In the dining room, the evening begins with homemade focaccia bread and luscious olive oil. The herbed focaccia sets a bar of excellence for the rest of the menu. 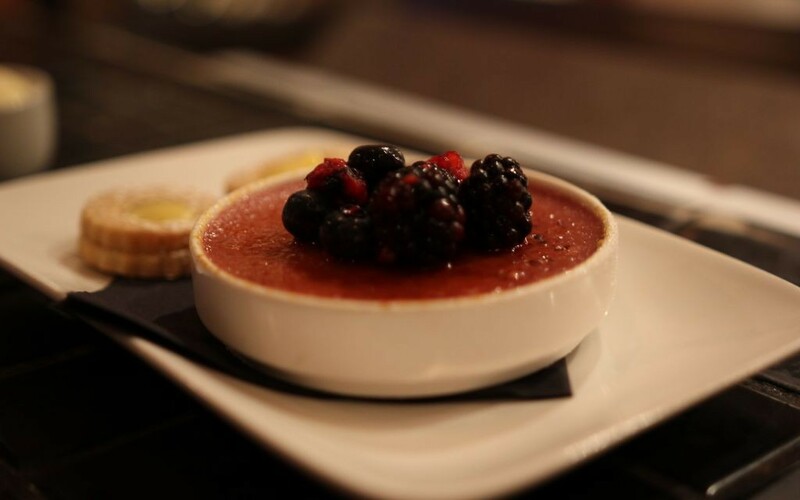 Like the focaccia, almost all of Café del Rey’s menu is made in-house — from the ice cream and sorbet to the raspberry jam on the cheese board. This impressive fact is a testament to the staff’s attention to detail and this mentality extends from the server to the host. 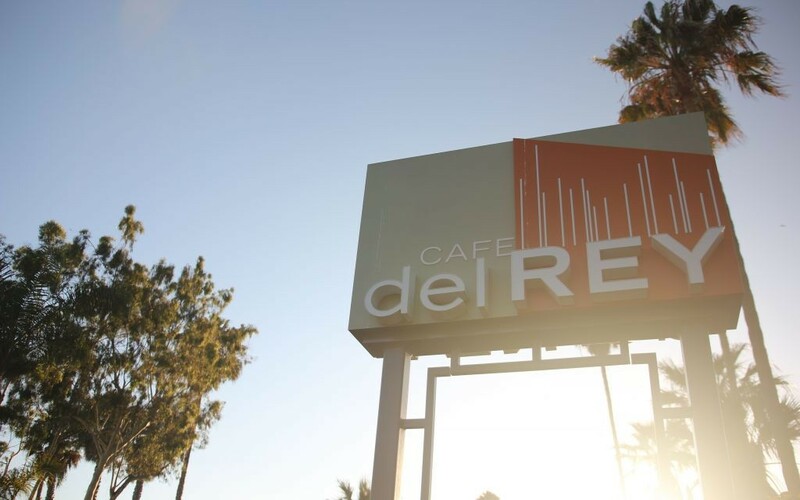 Executive Chef Adrian Vela describes Café del Rey’s cuisine as a blend of Mediterranean, French and Californian influences. He works deftly with the flavors of the day to create ever-changing cheese plates, seasonal desserts and lush seafood dishes. 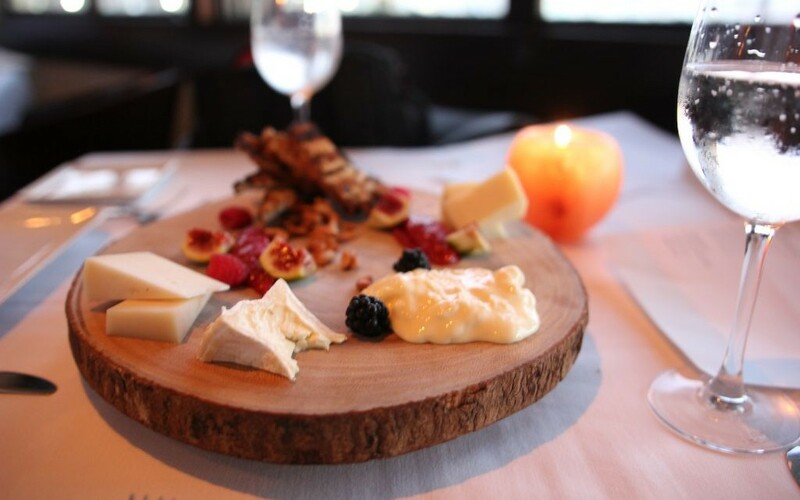 Each dish looks like a work of art — the cheese board is served on a genuine oak slab and the desserts are lovingly plated. Despite the chef’s meticulousness, Café del Rey offers modifications within reason, yet there are very few vegetarian items and almost no vegan options. The menu changes daily but some items have become mainstays. The rich truffle pizza has been a favorite for more than 15 years and it’s easy to see why. The soft, flaky crust has layers of cheese, bits of truffle and onions that take this simple, white pizza from good to gourmet. It pairs well with the lightly dressed baby greens salad. Despite the restaurant’s proximity to the marina, Café del Rey does not have reserved boat parking — guests arriving by boat should park in the marina across the street. Guests arriving by car are subject to a $4 mandatory valet fee. Café del Rey is an experience; not just a place to stop for a meal. Rios confirmed customers return multiple days a week. Spend the evening and you’ll see why.